BOB: Over the past seven days, the ebola epidemic has continued to rage in West Africa, where nearly 10,000 have been infected. So naturally, in the United States, wall-to-wall coverage fixated on...the United States. No wonder. Including patient number one, the late Thomas Eric Duncan, who arrived from Liberia infected; two nurses whom he infected; and the New York doctor just returned ill from Guinea, the total of cases diagnosed in this country has skyrocketed to... 4. NEWS BROADCAST...The World Health Organization says it missed the writing on the wall with Ebola, but now that the virus is hopping across the globe, is it too late to stop it? NEWS BROADCAST.... My brother is a critical care doctor, and he would tell you right off the bat that this thing is easier to get than you believe. NEWS BROADCAST: Even a schoolteacher’s trip to Dallas was enough to cause a panic in Maine. NEWS BROADCAST: Last night workers disinfected a Cleveland school because a teacher may have had contact with an Ebola patient. NEWS BROADCAST: Syracuse University canceled an appearance by Pulitzer-Prize winning photojournalist Michel Du Cille because he was in Liberia three weeks ago. BOB: Watching this unfold, you can draw two different conclusions about the news media as an institution. One possibility is we’ve simply not figured out how to balance the public’s right to know against the danger of shouting “fire” in a crowded theater. The other is that we’re too financially dependent on the audiences we generate to slow down when reporting mutates into fear-mongering. Either way, the national hyperventilation became so severe in the last two weeks that Fox News Channel’s Shepherd Smith tried to call a time out. SMITH: these are the facts: we do not have an outbreak of Ebola in the United States, nowhere. ...Suggestions have been made publicly that leaders and medical professionals may be lying to us. Those suggestions are completely without basis in fact. BOB: Smith went on the dispense the smartest public-health advice of the week: get a flu shot. Bless his heart, although, of course, the rest of Fox News was pretty much Hysteria Ground Zero. BOB: In fact, throughout the U.S. media last week -- unlike the physical nation -- Ebola was rampant. The story dominated every front page and, according to the Tyndall report, in the past three weeks, consumed 28 percent of the three big network’s combined newsholes...239 minutes of coverage on ABC, CBS and NBC. And of those 239 minutes, exactly 28 were devoted to West Africa, where the epidemic actually resides. And so, for the listener seeking a template for simple perspective, On the Media presents…. The Breaking News Consumer Handbook: Infectious Disease Edition. Item #1: Pathogen outbreaks are like shootings. The early reports will be frantic, decontextualized and at least half wrong. NEWS BROADCAST: Again, the CDC, the Centers for Disease Control confirms the first Ebola case that has been diagnosed in the United States. They do not go into detail about where the occurrence happened. MCBRIDE: When the patient first presented in Dallas most of the stories forgot to include the information that, oh, Ebola is only contagious through bodily fluids, right? It’s not an airborne disease. BOB: Kelly McBride of the Poynter Institute. When the alarms begin, she says, the public needs to resist the impulse to stampede in terror. MCBRIDE: ...ask who is shouting fire, and how far away the fire is, and how hot is the flame, and which way is the wind blowing. And that’s a lot to ask of the news consumer, but the consumer has to develop a new set of skills. ITEM #2. Noise level is not a measure of risk level. So don’t let the sheer volume become the message. REDLAWSK: To the extent that there is factual information and useful information in there, it may simply get overwhelmed. BOB: That statistic was demoralizing, but not as demoralizing as the result when heavy-consumers of the ebola story were polled. REDLAWSK: nearly half of them thought Ebola was very easy to transmit. BOB: Item#3 On cable TV and Twitter, “breaking news” usually isn’t. More likely it’s incremental and superfluous. Tun off push notifications to avoid the noise. BOB: Item #4: If the CDC says worry, worry. Take precautions. If the CDC says don’t worry, don’t worry -- even if they themselves seem a bit overwhelmed. GARRETT: In our age of 24 hour news and twitter and so on it's very hard for anyone in government to display a learning curve without being accused of incompetence. BOB: Laurie Garrett is senior fellow for global health at the Council on Foreign Relations. Garrett. 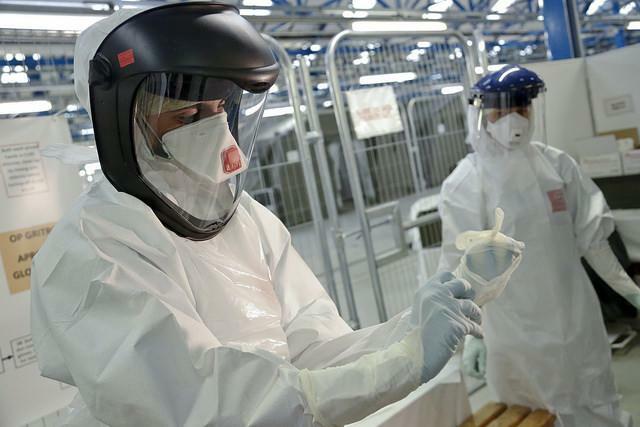 Earlier this month she published a Washington Post op-ed debunking Ebola’s five biggest myths. She also cautions against cherry picking news reports for details that validate primal fears. GARRETT: I think that the fear of new microbes is visceral, it's in our DNA. It probably has protected humans for millennia, from walking right into the next village over and getting themselves exposed something that was circulating in that village. It's nutty when you get to the vaccine era, the antibiotic era and the age of jet travel because we still find that very easily that visceral response can be tapped into and manipulated by political forces, by individuals who claim some great conspiracy theory. BOB: Hollywood is pretend. Hollywood is pretend. That clip, which we trot out for the second time this month, is from 2011’s disaster thriller Contagion. As much as it resembled CNN yesterday, it is not a documentary. Watching movies to learn about medicine is like reading the Congressional Record to learn about dance. BOB: On the subject of considering the source, please note that last week R&B singer Chris Brown tweeted to his 13.5 million followers his suspicion that Ebola is a population-control conspiracy. Aha. Item #7 Pay no attention to what any celebrity thinks about science, medicine or public health. Brown and Jenny McCarthy are fools. Madonna once said that yoga changes the molecular structure of her body. It doesn’t. Public idiocy, of course, is not confined to celebrities. We also have politicians for that, including cynics and demagogues who exploit unreasonable fears for electoral ends. And they know the public’s soft spots. Poynter’s Kelly McBride. MCBRIDE: Be aware of xenophobic overtones that can infect the attitudes in the United states, or the racial overtones… We're not condemning anybody, but there are elements of race and xenophobia in our fear. And I think we would be foolish to ignore our own history of racism and xenophobia and and suggest that we're completely over that. BOB: And because yapping politicians make news: Item #8. Within two weeks of an outbreak, posturing Congressmen will call for borders to be closed. Ignore them. This has nothing to do with epidemiology and everything to do with nationalist politics. To conclude, and this really does sum up everything, we turn once again to Fox’s Shepherd Smith. SHEPHERD: Someday something may start spreading that they can't control, and then you know what we're gonna have to do? We're gonna have to relax and listen to leaders. We're not gonna panic when we're supposed to, and we're certainly not gonna panic now, we have to stop it. BOB: Yes, beware of the wolf. But be sure you can have trust in your shepherd. The Breaking News Consumer’s Handbook: Infectious Disease Edition. 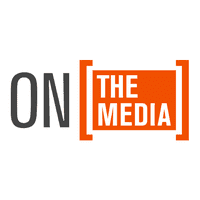 Download it at onthemedia.org.